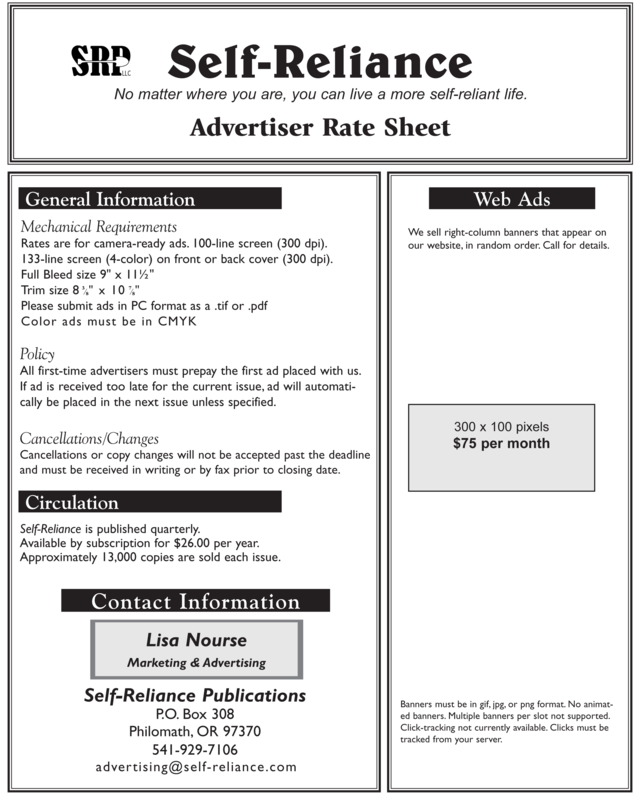 To advertise with us, please e-mail us at advertising@self-reliance.com or call us at 1-541-929-7106. 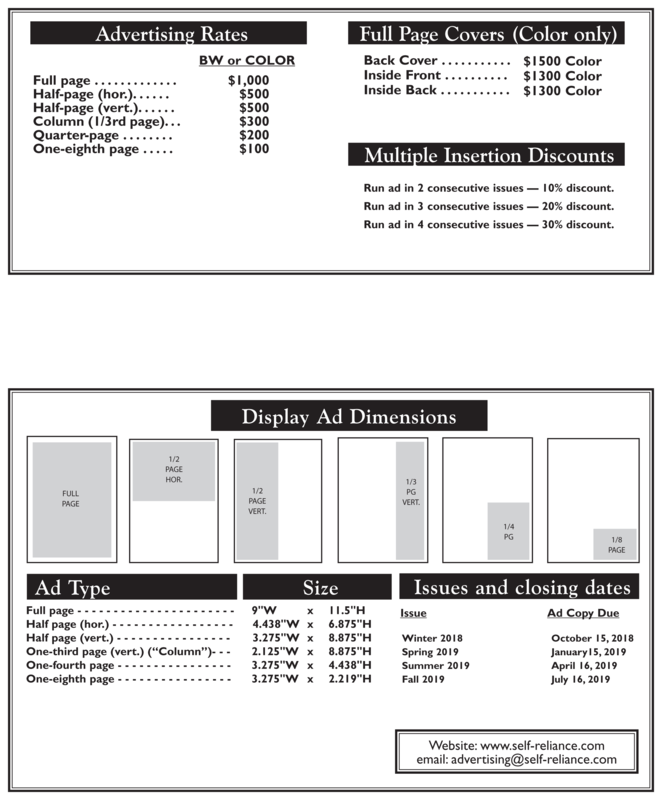 Click the Link below to view our display advertising rates. 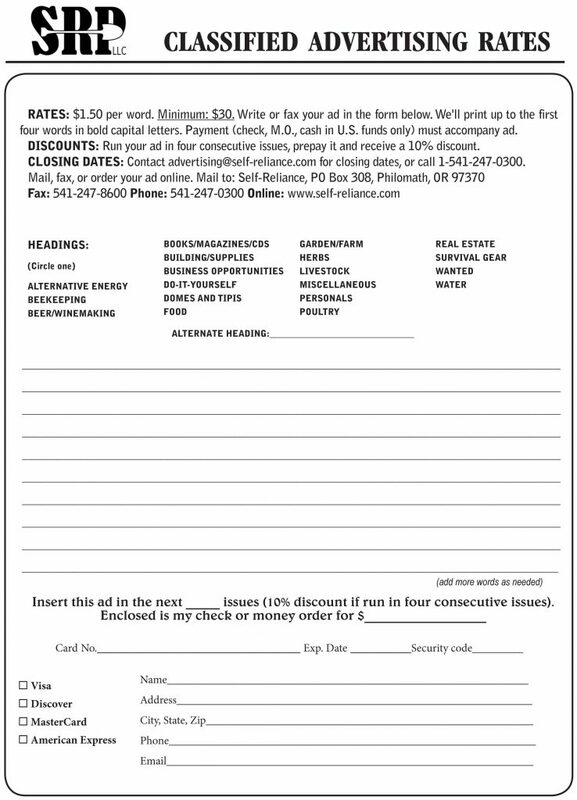 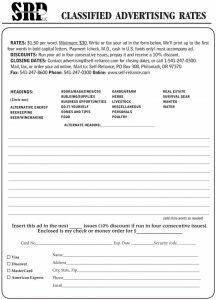 Click the link below to view our classified advertising order form.